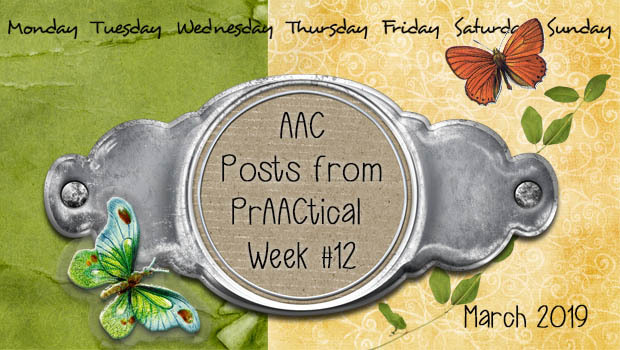 Vicki Clarke, CEO of Dynamic Therapy Associates and Director of DTA Schools, is back with another wonderful edition of AAC Assessment Corner. In addition to their clinic, Vicki and her team support school districts in AAC evaluation, equipment procurement, and implementation for individual students in the academic environment. DTA Schools also supports district-wide AAC implementation through the Classroom Communication Goals Project, training, and supporting all team members in classroom AAC implementation. In today’s post, Vicki shares her thoughts on how we can look at the use of AAC symbols for nouns as part of our evaluations for comprehensive AAC systems. 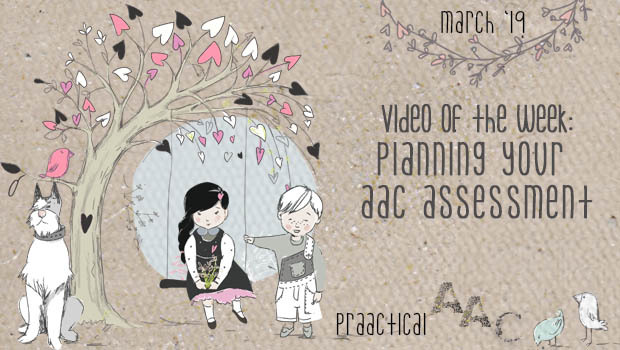 You can view her previous contributions to the AAC Assessment Corner here. It was a crazy, busy month full of evaluations, trainings, and report writing. I’ve spent a lot of time with my AAC Skills Assessment-R this month! I’ve had fun playing around with both light tech boards and flipbooks, and high tech apps and devices. We get a lot of information from all of these tools when we are investigating specific language representation features. You don’t have to have a high tech, $5000 device to assess these skills. An AAC flip book which includes a main core word board paired with nouns in categories works nicely! In this post, we are shifting from assessing cause/effect skills to thinking about how the student understands and uses symbols to represent different types of messages. Our symbols may represent simple nouns, core vocabulary and complete phrases. We are curious to see the how a student communicates for different purposes using these distinctive types of messages too. Are they great requesters who struggle with commenting and social engagement? Maybe they love using a cool social phrase to interact with their peers but aren’t so sure about what all those individual words really mean. We take a look at these skills in Part 2 of the AAC Skills Assessment, and in this post, specifically the use of nouns symbols for requesting, commenting and questioning. Can the student touch/look at a desired picture/symbols/image to request a desired off-screen activity in a field of 2 choices? 4 choices? 6 choices? This one is pretty easy and is something we often do as part of a typical therapy session. We’re just giving the student a few motivating noun choices (up to 6). This might be snack items, toys or videos to watch. You can present these in a variety of ways. You can use individual printed photos or have a photo collage printed at your local drug store. You might just have a notebook with photos or picture symbols attached to a page with velcro. If you are using a flipbook or an AAC app/device, you will take the student to the page of choices. We aren’t assessing the student’s ability to navigate to a correct page at this point. We’re just looking at whether they can scan 2-6 choices and pick one purposefully. Does the student appear satisfied with their selection? Does the student repeat their selection? Can the student effectively shift his/her attention between the choice board (on screen or on paper), their partner and the requested activity? If the student has never used an iPad/communication device before, they may be distracted by the AAC tool. This is pretty easy to recognize, if you’re looking for it. This ability to shift attention is important though, because the student’s partners may believe that because the student “loves the iPad” or “can do anything on the iPad” they will immediately understand using the iPad, or a high tech device, to communicate without instruction. Using a dynamic display device/app as a tool to communicate is very different than using it for cause/effect play. At first presentation, you may find students distracted by tapping buttons and listening to the voice output. That doesn’t mean they can’t use the high tech system, but they will need a period of time for the novelty to wear off. They will also need you to help them refocus on the activity at hand, not the device. For these students, supplementing with light tech can be a very good idea as they are learning. This subtest is exactly the same as the previous one, except we are increasing the number of choices the student has to choose from. We are offering more than 6 choices at this point. As you increase the number of symbols available, watch to see at what point the student begins to struggle visually scanning and locating the symbol representing the item they want. Functional, observational assessment of this visual ability to scan symbols is better than the standard, “find the apple in the increasingly more complex grid” simply because the student is inherently interested and motivated to find the item. They are engaged. They WANT the item, so their brains will be creating new connections, making meaningful, memorable associations as they work to get the item they are interested in. As you are moving into more advanced visual scanning, you definitely want to trial picture symbols as well as photographs. You may find students do very well with photos but struggle with line drawing symbols, and you may not! Partners tend to be drawn to photographs, so they often will need you to explain why we offer symbols. I usually give an example, such as if the photo representing “cookies” is of Oreos, the student might get grumpy if you give them Chips Ahoy Chocolate Chip cookies when they press the Oreo picture. A more generic picture symbol allows students to use symbols to mean more than a specific brand or type. Other partners are ready to skip symbols altogether and go straight to written words. There is definitely some discussion to be had around whether a written word would work as well for students, especially for more abstract concepts that aren’t represented in picture symbols very well. For some students though, especially when assessing concrete, easily recognizable symbols, the picture symbol may be instantly understandable. This means the student will immediately be able to communicate with minimal instruction. There’s a lot of value in this, at least when getting started! There’s a big difference between touching a symbol to request an item and touching a symbol to comment on something you have or something you are doing. This is the ultimate test for seeing if a student understands the concept of communication as a social exchange, certainly for the purpose of requesting, but also as a means to engage and connect with a partner. You use the same materials as in the last two sections, but this time, you are looking to see if the student will touch the picture of the item to show it to you, tell you he has it, tell you he sees it, or see if you like it, too! By touching the picture of the dog while we are watching the dog video, he’s saying “Look! It’s a dog!” or “look at that dog!” Try to avoid the easy test for this, saying “What is it?” or “Tell me what it is?” because this isn’t real communication. People simply don’t walk around asking others to name items. That’s just weird. Instead, touch the symbols yourself while saying “Hey! That’s a DOG!” or “Cool! Did you see that DOG?” and see if they follow your lead to comment. If the student is already hyper-trained to wait for the question cue or the command, “What is it?” go ahead and prompt to see if the student has the concept of labeling. As soon as possible though, end this addictive questioning habit, and start modeling real interaction. Hi Professor Zangari, did Vicki Clarke ever post “Part 3, Core Word Comprehension and Use”? I really like her first two articles. Thanks!